O&O ShutUp10 is a lightweight, free antispy tool for Windows 10. It protects your privacy by giving you a full control over Windows functions and settings, then you can decide which one should be deactivated and which one you should be kept enabled. It has a very simple interface so using O&O ShutUp10 needs no previous IT knowledge and there is no need to manually change the Windows 10 system settings. 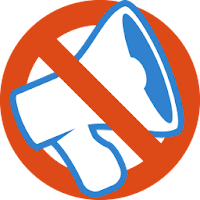 Disclaimer: Direct downloads for the lastest version of O&O ShutUp10 1.5.1390 are provided by the official software's author, we can't guarantee safety, availability or download speed. Moreover, we don't and we won't provide any pirated/illegal versions or tools. We recommend you to avoid it as these methods can harm your device. If you like the software, buy it to support the developers. (We provide software discounts for many worldwide brands).